First off we’d like to thank all the Glowfolks for the kinds words and suggestions for our little show. This helps us further refine the show and provide fresh content and helpful tidbits to keep the show interesting for our viewers. One of the most common question / suggestion we got was community (forum) driven questions / topics for the show. And with that, We’d like use this thread for folks to pose their questions or topics for future shows. We’ll use the same ‘rating’ system that the glowforge staff uses which is, vote up the questions or topics that you like. And we’ll dedicate a section in the show where we address them. Obviously, we won’t answer or talk about all of them one sitting, well spread them out thru future shows. And we’d like to keep the topics about the glowforge and lasers in general. Group brainstorming on how to build random nifty and slightly complicated art pieces with primarily a laser. A small start of show segment (each week) where each cast member mentions a favorite laser friendly project found online. Pinterest would be a likely candidate for the majority of these. Youtube should also offer some nice pieces. A small end of show segment (each week) where each member highlights a specific post from our own forums (likely most of the time from Show & Tell). I mean that you bring on a guest, and then either the panel of regular cast members interviews them (like asking @polarbrainfreeze about his inspiration for random art pieces he has put up, or his experience selling artwork. Same basic questions with @joker, maybe including how he got started in the business, ask @apix about his new chinese laser and setup experiences). Semi-MOOC (Massive Open Online Course… or something like that). Maybe some general safety information for those of us in the totally-new-to-lasers club? Like, what to do if/when there are flames. I see suggestions on how to avoid bad situations, but there’s less information about the best ways to handle bad situations when they do arise. Can I like all of Jacob Turner’s ideas. Excellent for both newbies and experienced users alike - none of us have GF experience (except Josh) but we all have different levels of different software experience and different levels of artistic expertise. Duno about starting the show with this, Maybe the end. The goal to is keep the show <45mins. We did this. Then got reprimanded because of ‘location’ of the originating post. So now we avoid these. We are all ‘Regulars’. As you know- all post from all locations are visible. We don’t want accidently talk about something that the person did not want to be public. We may touch on this. But remember it’s the ‘Glowforge’ talk show. Though it could be spun how to do this with a glowforge… We’ll deliberate internally and see where that goes. Already in the works (a couple months ago actually). The ‘widget’ has been designed. Just have to make it (Which is on me. I have a lot of other projects ahead of this.) Not sure about doing it real time since I’d like to keep the show <45mins. We may do a safety show just before the GF ships. That sounds like a great idea, but please do that segment far enough in advance of shipping that we will be able to buy or prepare whatever safety items are needed to operate the GF. Here is a Wired post regarding a Star Wars fan show. Baby steps now but once the units ship and the making begins, it will be great to have done the Talk Show and have a forum for showcasing some amazing stuff. Right now though some more demos of what lasers do could be helpful. Gareth Edwards' movie reportedly needs reshoots. You (probably) need these new prop replicas. 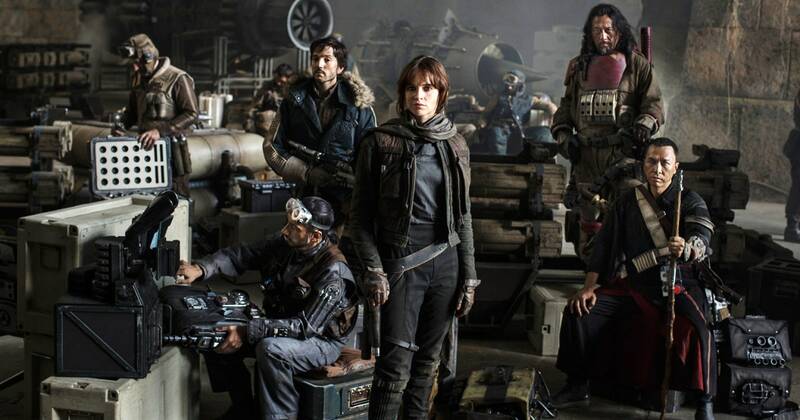 Those stories and more are all in this Star Wars news roundup. One thing that I’d like to see, is a demonstration of ‘simple’ skills or tricks. Specifically, how do you make sure that tabs line up with slots? Also, how to optimize a design for a laser (I’ve seen some stuff on dealing with overlapping lines, dogbone(?) cuts on 90 corners to strengthen them, and vector vs raster vs engrave vs any other term that is thrown around describing what the laser does when it turns on and hits the materiel). Confusing for Laser newbs like myself, but I’m sure very obvious for you guys. I’ve been using Onshape 3D CAD lately and they recently released a scripting language that creates features in CAD designs. A recent thread on their forum talked about a script that can automatically create tabs and slots in mating parts and the possibility of enhancing that to create dogbones on the corners of the slot cuts. That sounds like a very good match for what you are looking to do. Onshape is setting up the scripting language so that folks who code them them can make them freely available to the public at large or can charge for them.